The Lillian B. Ladd House, commissioned by Thornton’s mother and carrying a large budget, is the most complex of Ladd & Kelsey’s early residential work. Called a Modern Acropolis in House & Garden, the Ladd House features a classical, modern, complex site plan that evolved by taking the building site’s liability – a stark hilltop plateau – and turning it into the plan’s inspiration. Multiple levels of interior and exterior spaces create visual interest and variety. Gardens and terraces were created within these spaces to address the site’s poor planting soil problem. 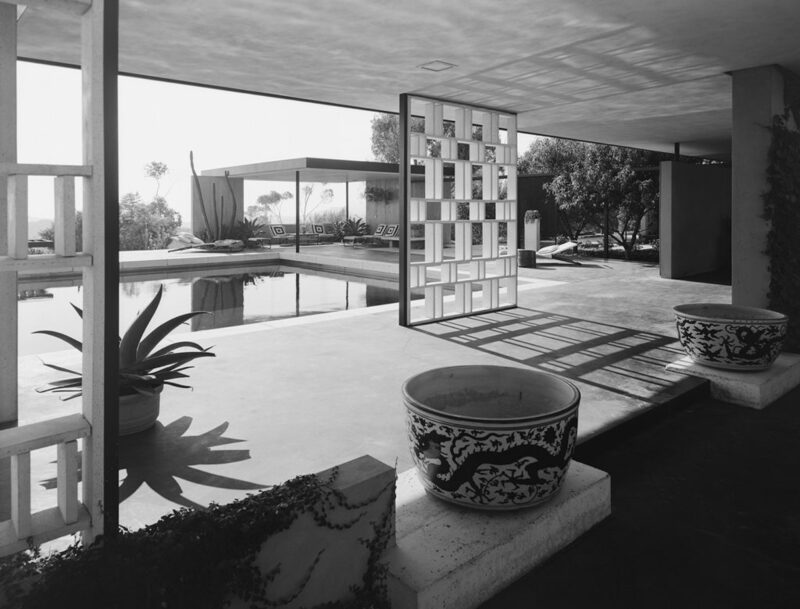 Included in the design were a sand garden, a water garden, a Mondrian-inspired garden and a peristyle. 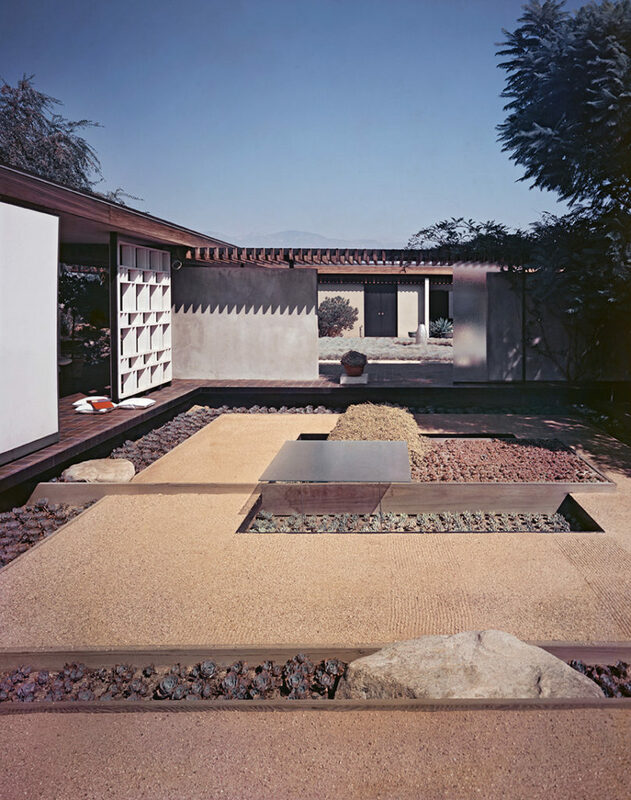 These extensive outdoor spaces effectively became outdoor “rooms,” logically and beautifully connected to the structure via walls, grilles and covered walks. Thornton Ladd designed his own residence on the site, located downhill from his mother’s house, yet fully integrated into the project’s whole plan. His studio-like home was a sophisticatedly simple, yet complex, design compared to his mother’s home above. A “one idea,” “one motive” building, it is a steel-framed rectangle with simple details and an interior screen for the visual division that innovatively used shadow and light.